A 27-year-old photo portrait of President-elect Donald Trump is being hung Friday at the Smithsonian's National Portrait Gallery, a week ahead of his inauguration. 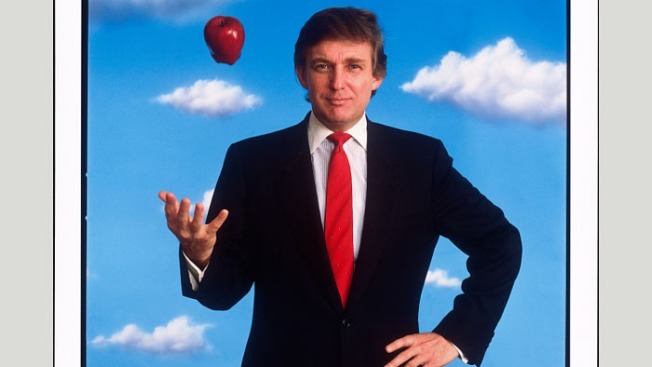 The 1989 portrait shows Trump wearing a suit and tossing an apple with his right hand. The image was on the cover of his 1990 autobiography, "Trump: Surviving at the Top," according to The New York Times. Acquired in 2011, it's one of four works in the Smithsonian collection representing the president-elect, the museum says, citing his prominence in New York real estate. This particular portrait was taken by photographer Michael O'Brien who has worked for Esquire, Life, The New York Times Sunday Magazine and National Geographic. 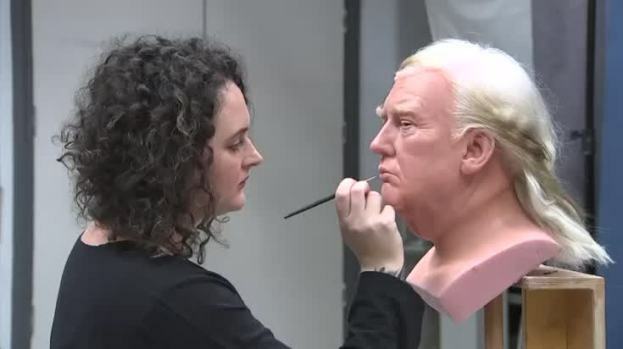 Sculptors and artists at Madame Tussauds' wax museum are working non-stop to complete wax figures of President-elect Donald Trump in time for Inauguration Day on Jan. 20, 2017. Trump will be the first sitting president to already have a wax figure in the museum, after his first sitting in 1997. The National Portrait Gallery put up a portrait of President Barack Obama in mid-January before both of his inaugurations in 2009 and 2013.